The past couple of months have brought broad changes to economic development tax credit policy in Oregon. Last month the state enacted major tax credit transparency practices when Gov. Kitzhaber signed into law House Bill 2825, which requires company-specific disclosure of tax credit recipients. Also up for consideration in the state legislature’s final days is House Bill 3671, which if passed would reduce available business tax credits from approximately $40 million to $10 million annually and make significant structural changes to the contentious Business Energy Tax Credit (BETC) program. The new transparency law, which was pushed by groups such as OSPIRG, requires state agencies responsible for administering economic development subsidies to disclose via Oregon’s transparency website information about recipients, including their names, addresses, subsidy values, and performance measures. Programs covered under this law include the controversial manufacturing and renewable energy components of the BETC program, the state’s enterprise zone program, and contributions to the film production development fund, among others. The law will go into effect later this year. 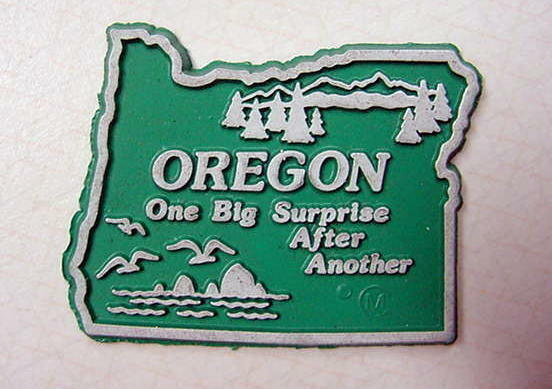 Oregon scored zero on Good Jobs First’s recent 51-state subsidy disclosure study, Show Us the Subsidies, for its failure to disclose company-specific recipient information for any of its major economic development programs. As in other states, Oregon’s revenue crisis has forced the state to consider reducing and in some cases eliminating business tax credit programs. HB 3671 would end the practice of subsidizing construction of major solar and wind production facilities through the BETC program. It does not completely eliminate subsidies for manufacturers of solar energy equipment and energy conservation activities, but replaces existing subsidies with a set of smaller, more targeted programs. The bill additionally proposes reducing the total value of business tax credits from the projected $40 million biennially at the state’s current rate to $10 million. The measure has reportedly gained broad support, although Gov. Kitzhaber has proposed raising the cap to $25 million. Both of these measures will move the Oregon’s economic development practices toward greater accountability and ultimately, more effective job creation and energy conservation policy.